The Scenic Rim is a relatively mountainous, well-watered and fertile section of of a primarily flat, dry continent with infertile soils. Our continent as a whole does of course have a rich biodiversity and the world’s highest level of endemism (i.e proportion of species found nowhere else. The Scenic Rim is part of the region (southeastern Qld and NSW) which has the third highest biodiversity in the whole country. the long volcanic activity has given us more fertile soils than most of the continent, and we also have some of the older sedimentary soils dating back to before the days of the dinosaurs. Different kinds of volcanic soil supports different kinds of vegetation (broadly speaking, basalt supports rainforest and rhyolite supports some of our eucalypt forests), and other soils support other vegetation. This provides a diversity of habitats. the topography gives us different climatic conditions and further habitat types. The mountains to the east catch the moisture-laden clouds from the Pacific Ocean but areas to the west are left in what we call a ‘rain shadow’, the annual rainfall gradually decreasing towards the west, but with another pocket of relatively high rainfall as we reach the Main Range. The altitude varies from about 300m to about 1500m, allowing us to move from warm subtropical rainforest up to cool temperate rainforests, and from eucalypt forest and riparian sheoak vegetation on alluvial soils up to mountain heaths. Even just the combination of low-lying, gently undulating land, creeks and rivers, steep rugged gorges, cliffs, small caves and high plateaux provide many habitats and microhabitats. We are near the edge of two climate types - the Mediterranean climate of wet winters a d dry summers that the southern coasts of Australia experience are not too far away, but here we have the tropical pattern of wet summers and dry winters. Maby southern species reach their northern limit here or not far from here, and many northern species are close to their southern limit. Thus we are getting diversity from both directions. 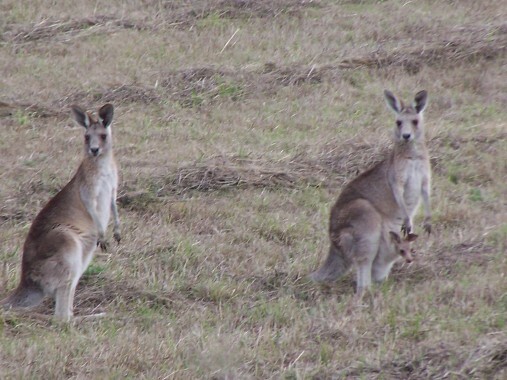 Most Australian families of mammals are found in the Scenic Rim, and include the worlds three great mammalian groups: monotremes, marsupials and placentals. Platypus are found in many of our local creeks. The first hour after dawn and the last hour before sunset are the best times. Echidnas are occasionally seen in many parts of the Scenic Rim, mostly in open eucalypt forest or grazing land with scattered trees and logs. The spotted-tailed quoll, the largest truly native mammalian predator on the mainland is a shy, nocturnal, forest creature spread thinly throughout its range. It lives in both rainforest and eucalypt forest. The Yellow-footed antechinus is the most commonly-encountered carnivorous marsupial, which sometimes enters houses for warmth during winter and lives in many forest and woodland habitats. The subtropical antechinus (which used to be regarded as a brown antechinus, but has now been split from that species) is mostly found in rainforest and tall wet eucalypt forest nearby. The dusky antechinus lives just over the border and may be in some of our southern-most rainforests. The common dunnart lives in some of the more open forests and woodlands. The northern brown bandicoot is common in the Scenic Rim, and one often sees the little conical burrows it makes in the soil when digging for grubs, fungi and other underground foods. The long-nosed bandicoot is less common but also in the district. Eastern grey kangaroos live in the forests and come out onto grassland to graze late in the day, through the night and in the early morning. 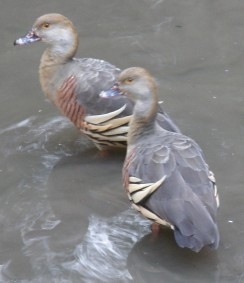 They are very sociable, usually seen feeding either in groups of one adult male with several females and juveniles, or in larger groups consisting of several of these smaller groups. Red-necked wallabies behave somewhat similarly, but are often seen grazing solitarily. 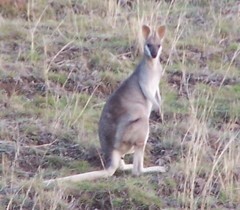 Whiptail wallabies are one of Australia’s most elegant wallabies and also come out to graze towards the end of the day. 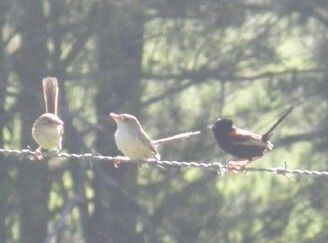 They are sociable, and usually seen in a group of half a dozen or so. Black-striped wallabies are also in the region but not commonly seen, but this is partly because they generally do not emerge to graze until after dark. 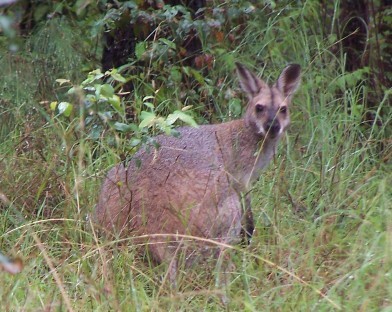 The swamp wallaby is a bit smaller and tends to stay in denser vegetation. The brush-tailed rock wallaby used to be common, but is now a threatened species and is almost confined to high, rocky areas. The red-legged pademelon usually does not leave the shelter of the forest for as long or as far, and it eats a greater variety of leaves than the red-necked. The long-nosed potoroo is a tiny rat-like relative of the kangaroos (not in the same family but in a closely related one), and very important in the dispersal of fungi which live in symbiosis with the roots of forest trees. Like the betting they are rarely seen. Koalas are still reasonably common wherever there are suitable eucalypts, although diminishing in some areas. Brushtail possums are common throughout the Scenic Rim. Mountain brushtails or bobucks (darker colour, smaller ears) are confined to tall dense forests. Ringtail possums are common in some of the forests. Greater gliders can be seen in some of the tall wet eucalypt forests. Yellow-bellied gliders, the rarest of our gliders, also live here. The squirrel glider is quite common in some open forests and woodlands, feeding on nectar, sap and insects. Sugar gliders, slightly smaller than the squirrel glider but with rather similar habits, are also reasonably common in some areas within the shire. The tiny feather-tail glider is far less often seen, partly because of its diminutive size. The eastern pigmy possum is also tiny and therefore seldom seen. The black flying fox is our largest bat, lives in large colonies and eats nectar and fruit in roughly similar proportions, helping (as do other fruitbats) to pollinate flowers and disperse seeds. The grey-headed flying fox is slightly smaller and its numbers have been dwindling over the years. The little red flying fox is considerably smaller and breeds at a different time of year. It eats more nectar than fruit, and is more migratory than the others. The common tube-nosed bat lives in small groups or solitarily, is much smaller (although still a ‘megabat’) and eats mostly fruits. 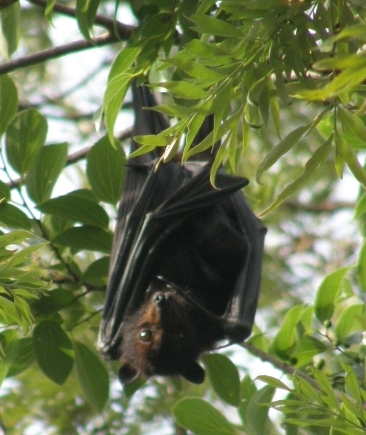 The blossom bat is also small for a megabat, and because of this and also because it also doesn’t live in colonies, neither this species nor the tube-nosed bat are seen as often as the flying foxes. There are many species of microbat in the region, each with its own habitat preferences and foraging style (some forage about canopies, some close to the ground or water, some foraging through winter and others not, some preferring particular insect types). The bush rat is the most commonly encountered of the native rodents, in several kinds of forests and woodlands. The swamp rat is found in areas of dense long grass and sedge vegetation in or near forests. The fawn-footed melomys is common in rainforests, and the grassland melomys in more open areas. The chestnut mouse is smaller and not often encountered. The Australian water rat is common in creeks in the region. There are also three introduced rodents the house mouse, ship rat and black rat. The Hastings River mouse is a threatened native rodent that reaches the northern limit of its Australian distribution in the Scenic Rim. 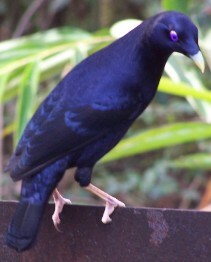 Roughly half of all Australian birds, including all its raptors, have been seen in Southeast Queensland. 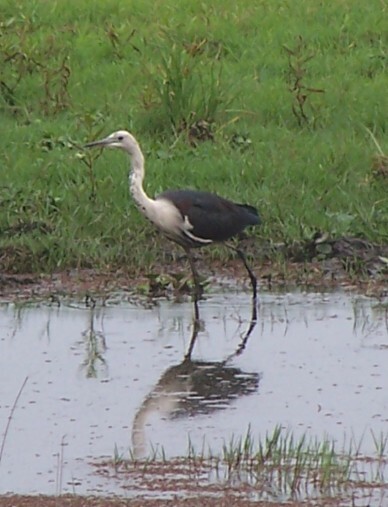 Common waterbirds include black swan, black duck, wood duck, hardhead duck, grey teal, purple swamphen, Eurasian coot, dusky moorhen, royal spoonbill, yellow-billed spoonbill, white ibis, straw-necked ibis, great egret, intermediate egret, little egret, cattle egret, Australasian grebe, Australian pelican, pied cormorant, little pied cormorant, little black cormorant, darter, comb-crested jacana, white-faced heron, royal white-necked (or Pacific) heron, black-winged stilt and black-necked stork. 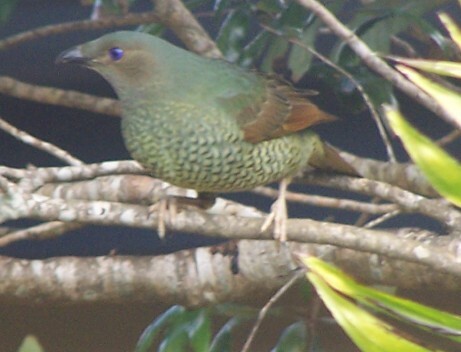 Rainforest birds include the brush turkey, pied currawong, satin bowerbird, regent bowerbird, eastern whipbird, Lewin’s honeyeater, log-runner, eastern yellow robin, brown thornbill, noisy pitta, Albert’s lyrebird, paradise riflebird and many others. Common raptors include the wedge-tailed eagle, the brown falcon, the black-shouldered kite, the white-bellied sea eagle, the whistling kite and the Australian kestrel. In eucalypt forests, common birds include fairy-wrens (superb, variegated and red-backed), blue-faced honeyeater, yellow-faced honeyeater, eastern spinebill, grey butcherbird, pied butcherbird, red-browed finches, striated pardalote, spotted pardalote, rainbow lorikeet, scaly-breasted lorikeet, laughing kookaburra, sacred kingfisher and forest kingfisher. 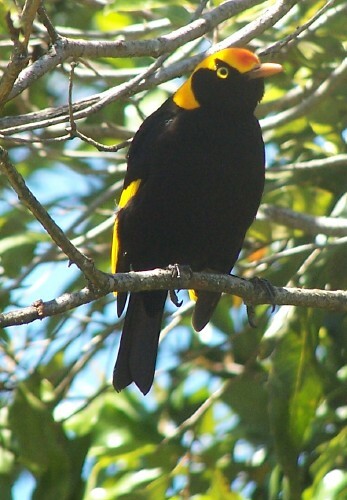 Birds commonly seen in grassy paddocks include Richard’s pipit, masked lapwing, cattle egret, Torresian crow, straw-necked ibis, white-faced heron, pale-headed rosella, eastern rosella and (in winter) pied currawong. 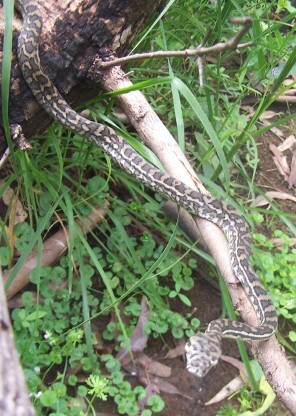 The most commonly seen snake throughout the Scenic Rim is the carpet python. Green tree snakes and brown tree snakes are also fairly common. The red-bellied black snake is often seen in rainforest and other moist forests, although less so since the cane toad moved into the region. The rough-scaled snake is restricted to the forests of southeast Queensland and northeastern New South Wales - a highly venomous snake but not often seen. The small-eyed snake is more common often mistaken for a red-bellied black snake, but is smaller, and the pink of its belly is not so easily seen from the side, and its venom is less potent. The yellow-faced whipsnake is another commonly-encountered species. 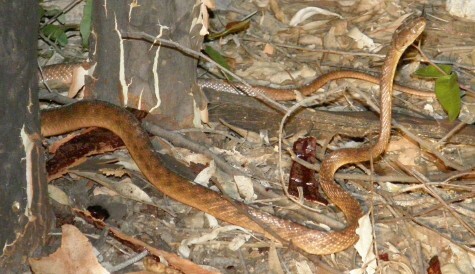 Other front-fanged snakes in the region include the tiger snake, eastern brown, taipan, death adder, bandybandy and several others. Blind snakes live underground and are not often encountered. 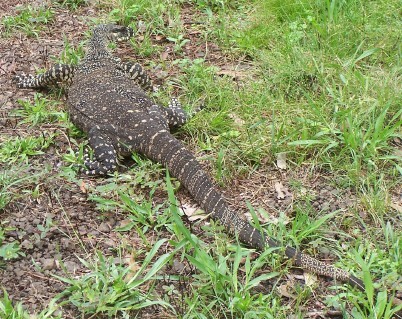 The lace monitor (goanna) is seen throughout the Scenic Rim during the warmer months. 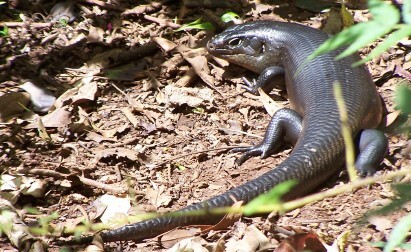 The land mullet is the largest of Australia’s skinks, and frequently seen in and near rainforests. The major skink is slightly smaller. Many smaller species of skink are found throughout the region. The commonest dragon lizards in the Scenic Rim are the bearded dragon and the eastern water dragon. Velvet geckos and other geckos come out at night to feed. The leaf-tailed gecko is a resident of local rainforests. Flapfooted, or legless, lizards are reasonably common but not often seen because of their burrowing habits. The short-necked turtle is the most commonly seen turtle in the Scenic Rim, but the long-necked and saw-shelled turtles occur there also. 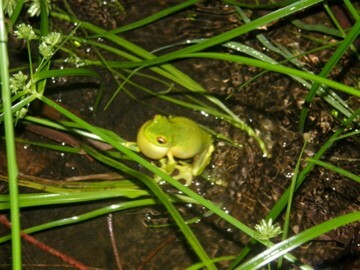 They are mostly active in the warmer months, often seen in the creeks or sunning themselves on emergent rocks or logs. 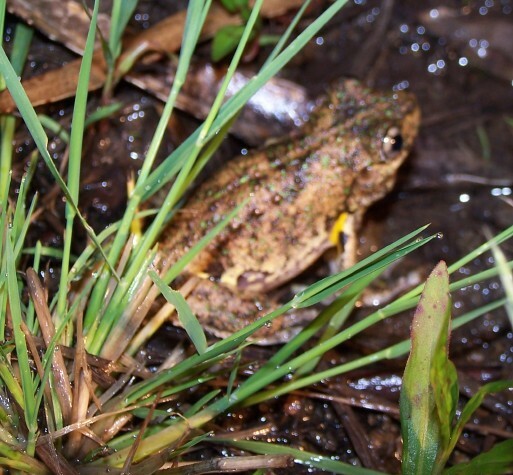 There are many species of frog in the Scenic Rim, the Mt Barney area having been named as having one of Australia’s richest diversities of frog species.